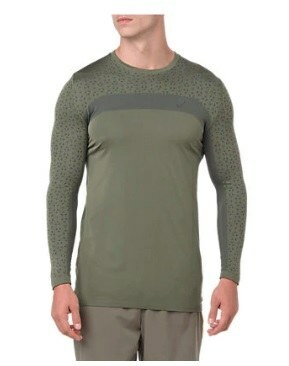 No matter the season, you'll get plenty of use out of the New Balance Men's Seasonless Long Sleeve. This crew neck long sleeve is made of stretchy, silky-soft material that has a light and cool feel. With long sleeves and extended cuffs with thumb loops, it provides just enough coverage for protection from a bit of cold.